Though my two little princesses are gone about 18 months, I decided to make some dog walking shirts again in their memory. 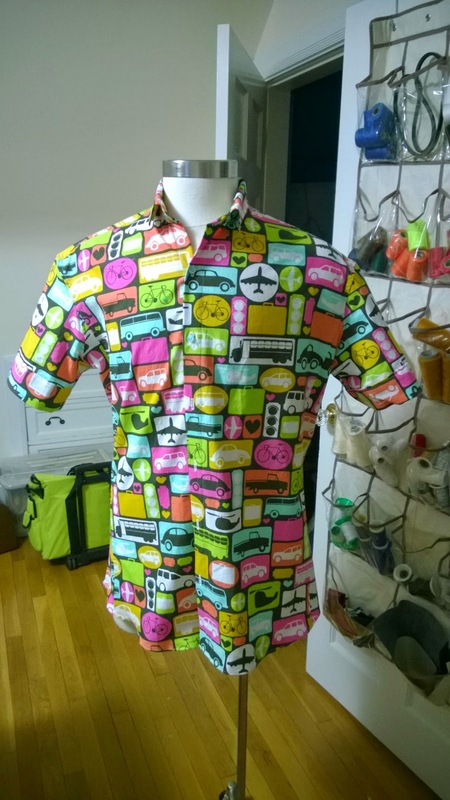 These shirts are wacky prints that properly befit a semi-retired part-time adjunct professor. Lord.. if my students see this I will totally lose face. Vogue 8889 turned out to be much more aggressive than I imagined. It's loaded with side and back panels and all seams are flat felled. The sleeve caps are fairly high, and being out of practice with flat felled seams on a shoulder cost me hours of sewing and ripping, and sewing and ripping again. My machine felling foot really wasn't any help, so I basted the seam with a hand stitch first and then machine stitched. 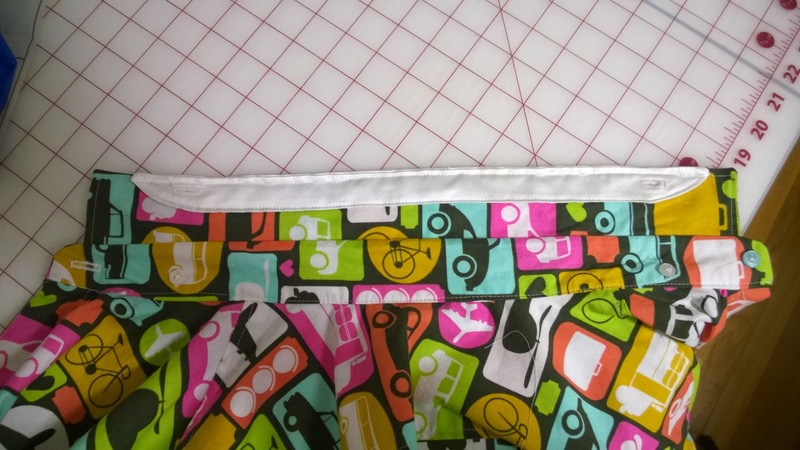 The pattern eliminates a pleat in the back under the yoke by using side seam panels. This also gives the shirt more of a contoured look. I suppose that's OK if one doesn't have a small pot belly due to a lack of bike riding all this miserable winter. There is something I've never seen before on a shirt. There's an undercollar with button holes and buttons. I made this piece in a contrasting white satin. After all, who cares? Well, now that my shirt is out of the way, I can focus more on The Three Musketeers. Ta! Awesome think up really that i appreciate it. Thanks for sharing it. Moderate entertainment can relax people's emotions, cultivate people's sentiments. Life is best to have a proper entertainment, even without wealth, but also can have a happy. It is a very good thing to do the work of a proper recreation and adjust the fatigue. Entertainment is the flower, the pragmatic is the root. If you want to enjoy the beauty of the flower, you must strengthen the root of the firm. شركة المنزل هى شركة مكافحة حشرات بمكة لدينا العمالة المدربة التى تقضى على جميع انواع الحشرات بمكة كالصراصير والعته وبق الفراش والفئران والعقارب والثعابين والنمل الابيض بمكة والقوارض بمكة كما اننا نستجدم اجود انواع المبيدات المستوردة التى تقضى على جميع انواع الحشرات بأسعار رخيصة . Gía của dự án đất nền Bảo Lộc Capital có đắt không? Mua đất nền đầu tư tại Bảo Lộc bao nhiêu là hợp lí? We have posted a data for usefully for you RPSC Portal see more. Now that I’m retired, I can take part time jobs that are fun and do more sewing.